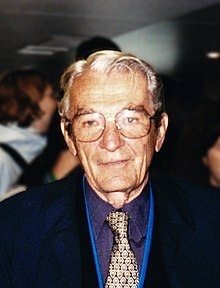 Ivar Giaever (Norwegian: Giæver; born April 5, 1929) is a physicist who shared the Nobel Prize in Physics in 1973 with Leo Esaki and Brian Josephson “for their discoveries regarding tunnelling phenomena in solids“. Giaever’s share of the prize was specifically for his “experimental discoveries regarding tunnelling phenomena in superconductors“. Giaever is an institute professor emeritus at the Rensselaer Polytechnic Institute, a professor-at-large at the University of Oslo, and the president of Applied Biophysics. Giaever earned a degree in mechanical engineering from the Norwegian Institute of Technology in Trondheim in 1952. In 1954, he emigrated from Norway to Canada, where he was employed by the Canadian division of General Electric. He moved to the United States two years later, joining General Electric’s Corporate Research and Development Center in Schenectady, New York, in 1958. He has lived in Niskayuna, New York, since then, taking up US citizenship in 1964. While working for General Electric, Giaever earned a Ph.D. at the Rensselaer Polytechnic Institute in 1964. The work that led to Giaever’s Nobel Prize was performed at General Electric in 1960. Following on Esaki’s discovery of electron tunnelling in semiconductors in 1958, Giaever showed that tunnelling also took place in superconductors, demonstrating tunnelling through a very thin layer of oxide surrounded on both sides by metal in a superconducting or normal state. Giaever’s experiments demonstrated the existence of an energy gap in superconductors, one of the most important predictions of the BCS theory of superconductivity, which had been developed in 1957. Giaever’s experimental demonstration of tunnelling in superconductors stimulated the theoretical physicist Brian Josephson to work on the phenomenon, leading to his prediction of the Josephson effect in 1962. 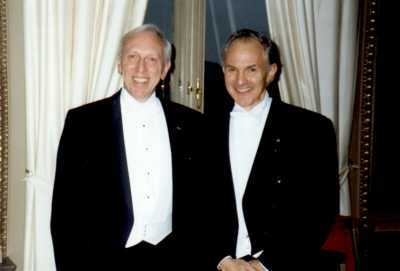 Esaki and Giaever shared half of the 1973 Nobel Prize, and Josephson received the other half. Giaever’s research later in his career was mainly in the field of biophysics. In 1969, he researched Biophysics for a year as a fellow at Clare Hall, University of Cambridge, through a Guggenheim Fellowship, and he continued to work in this area after he returned to the US. He has co-signed a letter from over 70 Nobel laureate scientists to the Louisiana Legislature supporting the repeal of Louisiana’s creationism law, the Louisiana Science Education Act. In addition to the Nobel Prize, he has also been awarded the Oliver E. Buckley Prize by the American Physical Society in 1965, and the Zworykin Award by the National Academy of Engineering in 1974. He is a member of the Norwegian Academy of Science and Letters. The 1973 Nobel Prize co-winner in physics Dr. Ivar Giaever discusses and exposes the “pseudoscience” of global warming (now marketed as “climate change”), the fraud that carbon dioxide is a driver of climate, the laughable hype comparison of “little frogs versus big humans,” and on and on. For an excellent review of the POSITIVE effects of INCREASED atmospheric carbon dioxide please review three YouTube videos P2qVNK6zFgE and q3Oyl97foy8 and LPNiBVU2QIA. In the first video below in the 28th clip in this series are his words and my response is below them. …Can you say more about that? Giaever, a former professor at the School of Engineering and School of Science Rensselaer Polytechnic Institute, received the 1973 physics Nobel for his work on quantum tunneling. Giaever delivered his remarks at the 65th Nobel Laureate Conference in Lindau, Germany, which drew 65 recipients of the prize. Giaever is also featured in thenew documentary “Climate Hustle”, set for release in Fall 2015. I am glad that you don’t bow to peer pressure!!! !